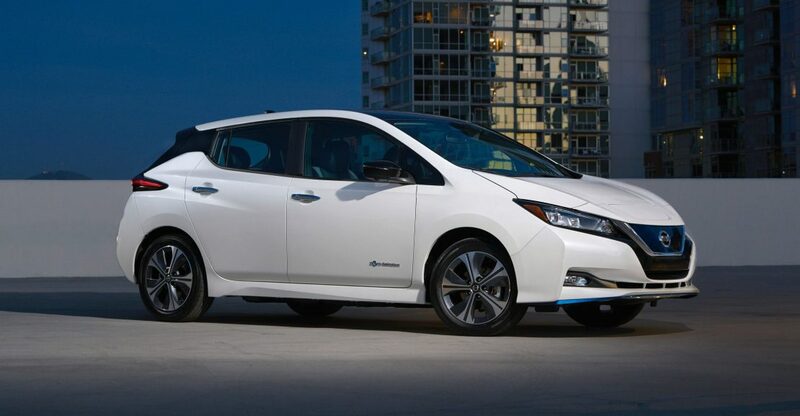 The 2-gen Nissan Leaf unveiled last year didn’t embody its potential customers’ expectations. The biggest disapointment was brought by relatively small battery pack and low range – the only 40 kWh configuration available was not capable to compete with up-to-date EVs. Finally, yesterday Nissan showed a new Leaf e+ version at the CES 2019 in Las Vegas. Leaf e+ got a new, larger battery pack with 62 kWh, taking only 5mm more space than the 40 kWh unit. Nissan uses the same LG cells in a new pack, though they are packed tighter. Nissan claims Leaf e+ to be able to travel up to 226 miles (364 km) on a single charge, that is approximately 40% more than a standard 40 kWh version. Moreover, Leaf e+ got equipped with a more powerful motor, capable of 215 hp and 340 Nm enabling faster acceleration when driving at high speeds. According to Nissan officials, Leaf e+ will go on sale in a few weeks in Japan, following by the US market this spring and than it will come to Europe as soon as this summer.